HercuLeS is a high-level synthesis tool that automatically generates RTL VHDL for non-programmable hardware. 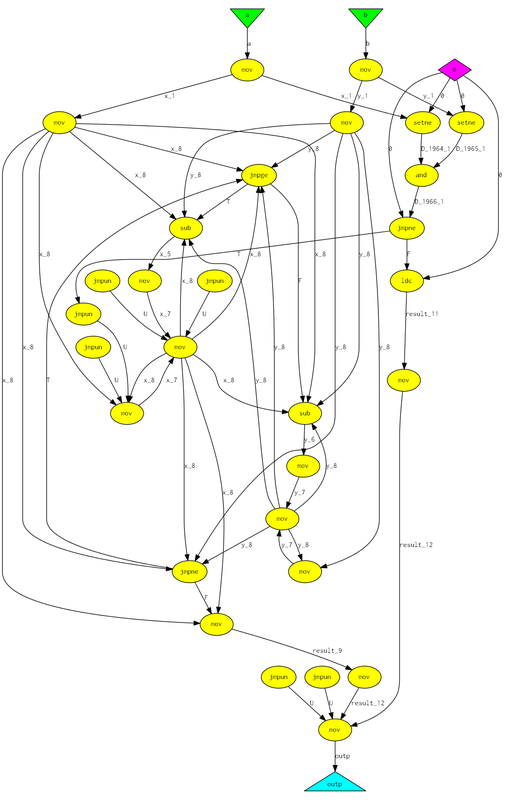 HercuLeS translates programs in NAC (a bit-accurate typed-assembly language) to extended FSMDs (Finite-State Machines with Datapath) in VHDL. HercuLeS can also be used for direct synthesis of ANSI C code to VHDL with the help of a prototype translator from GIMPLE (GCC's) new intermediate representation to NAC. HercuLeS also has an additional ANSI C backend, allowing comparison of NAC programs to reference ANSI C application code and the rapid prototyping of applications (VHDL simulation can be slow depending on design complexity, input data and the simulator used). VHDL code generated by HercuLeS can be simulated with GHDL and the industry-standard Modelsim. It is possible to generate VHDL using either the Synopsys packages (the "old" de-facto standard) or the official IEEE library packages. HercuLeS supports IEEE-754 floating-point arithmetic (32-bit single and 64-bit double precisions) using the VHDL-2008 floating-point arithmetic package. 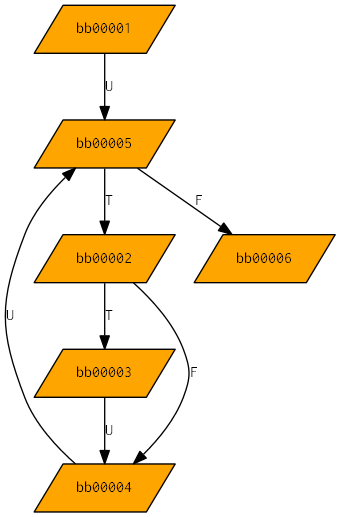 Further, HercuLeS supports fixed-point arithmetic via sfixed and ufixed vectors as defined by the great VHDL-2008 fixed-point arithmetic packages by David Bishop. For this option, HercuLeS should be notified (via command-line option) to use the IEEE packages. A recent presentation of HercuLeS can be found here (UPDATED: 2012-12-21). It is also mentioned in the Downloads section. The following figure gives an internal view to the process flow of HercuLeS. design.nac: A NAC program translation unit providing the entire application. 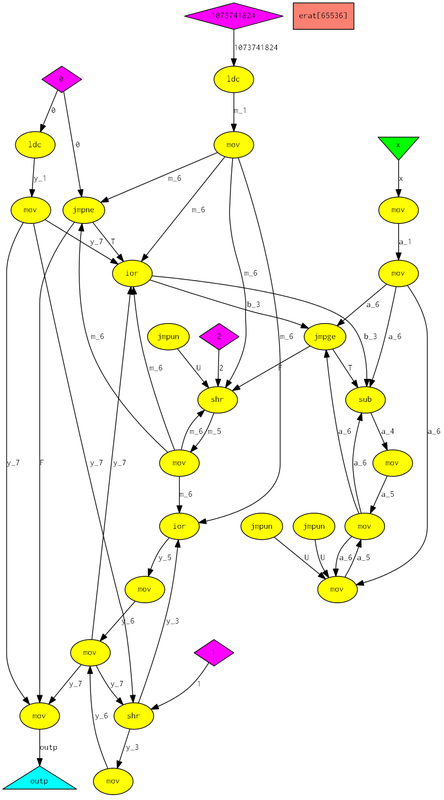 The root procedure must be named "design"
design.dot, subdes1.dot, ..., subdesn.dot: The Graphviz CDFGs for the root procedure and all other procedures in the NAC program. main.c, main.h, ansic.mk: Files generated for running an ANSI C simulation. ansic.mk is an automatically-generated Makefile. design_nac.c, subdes1_nac.c, ..., subdesn_nac.c: ANSI C backend files providing C implementations of all procedures in the translation unit, generated directly from NAC. They are used in the C simulations. design_pkg.vhd: VHDL package incorporating the components for all NAC procedures. 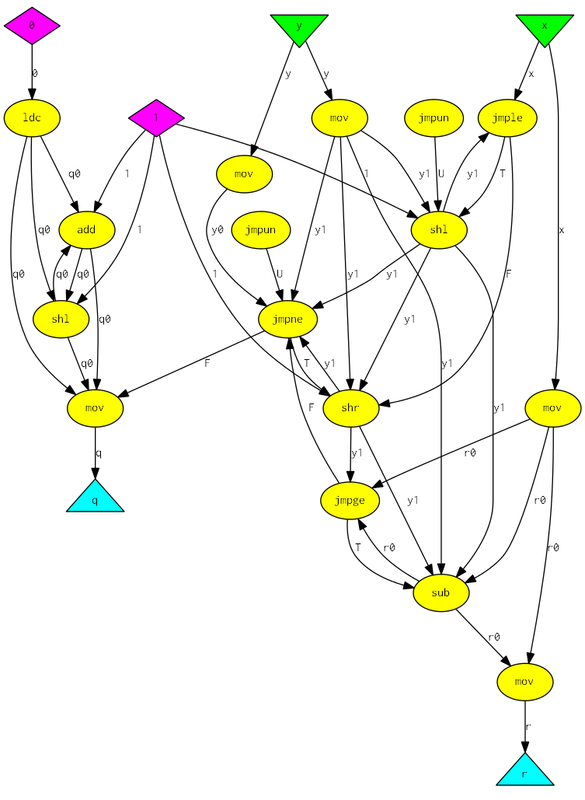 design_cdt_pkg.vhd: VHDL package incorporating definitions of compound data types (arrays). Following this, there exist two possible flows; one for the generation and simulation of synthesizable RTL VHDL for the NAC program, and one for a C simulation. and output is produced at the command prompt. design.vhd, subdes1.vhd, ..., subdesn.vhd: Synthesizable RTL VHDL for the root procedure and all other procedures in the NAC program. ram.vhd: VHDL model of a dual-port synchronous read RAM for block RAM inference. It is only used if block RAM mapping is enabled. design_tb.vhd: The automatically-generated self-checking testbench. design.mk: Makefile for running a GHDL simulation. design.do: Modelsim do macro file for running a Modelsim simulation. design.sh: Bash shell script initiating either a GHDL or Modelsim simulation. This produces a text file (design_alg_test_results.txt) providing diagnostic output from a simulation run. Output to the command prompt for any internal program variable, procedure argument, etc can be produced by using the "print" NAC operation. A "print" is mapped to a VHDL "assert" construct or a C standard library "printf". Also, a VCD (design_fsmd.vcd) or GHW (design_fsmd.ghw) waveform file can be generated for viewing with GTKwave. Windows binaries for GTKwave can be found here. 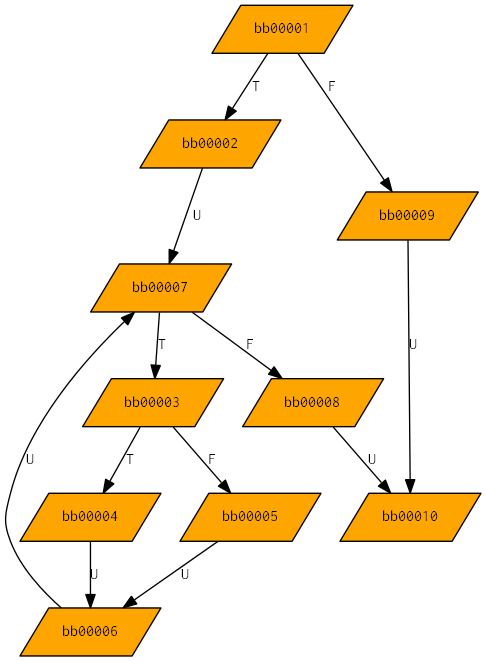 NAC is an extensible, bit-accurate, typed-assembly language. NAC provides arbitrary n-to-m operation mappings, enforcing a single format for all operations, and bit-accurate data types. It supports scalar, single-dimensional array and streamed I/O procedure arguments. NAC statements are labels, n-address instructions or procedure calls. The current version (0.0.4) of the NAC programming language manual can be found here in HTML form and can be downloaded from here as a PDF file. An ANSI C frontend, namely gimple2nac is under development for translating GIMPLE dumps from GCC compilation to NAC translation units. It is currently in usable state, provided that the current liminations of the GCC GIMPLE front end infrastructure are accounted. The GIMPLE front end is under heavy development; a future release of GCC will support the final textual GIMPLE grammar). The gimple-front-end branch is aiming to this purpose: to provide a fixed textual IR. The textual GIMPLE IR will bare some similarities to the current format of GIMPLE dumps. As input, gimple2nac currently accepts the non-official grammar of GIMPLE files with the .004t.gimple suffix. I am currently writing a document highlighting issues with code generation from GIMPLE dumps. You can find it here in HTML form and can be downloaded from here as a PDF file. 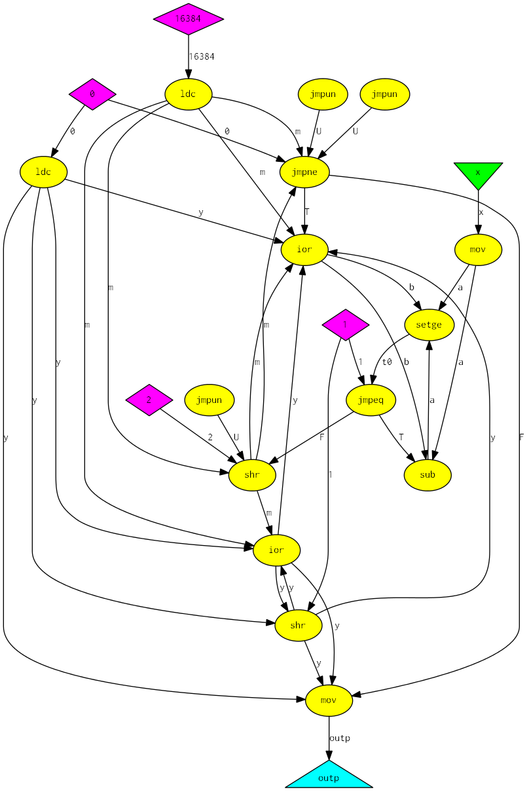 gimple2nac will be released under GPL, version 3 when the gimple-front-end branch will be merged to GCC mainline, and the corresponding grammar and semantic changes will propagate to my GIMPLE-to-NAC translator. 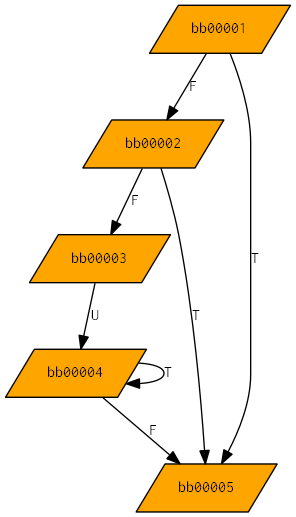 The following set of examples illustrates the high-level synthesis of NAC programs. They have been generated with SSA (Static Single Assignment) disabled and using the sequential scheduler. The examples have been selected so that the hardware operator library is not required. In the future, an obfuscated or encrypted version of the library will be included. provided that you have GHDL installed on your system. You will also need a Windows/Cygwin installation or gnuwin32 versions of standard Unix utilities: make, bash. The simulation will need two files providing some IEEE extension functions/procedures. They are required only for running the simulations. These files are provided in the 00contrib subdirectory. 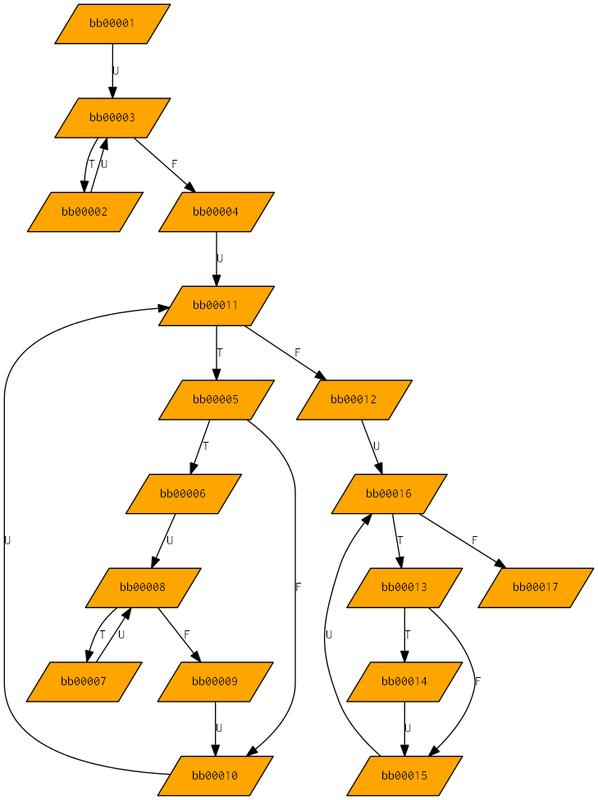 VHDL design: design.vhd for the root procedure and any other VHDL files for each one of the called procedures (from root or from lower in the call tree hierarchy). Diagnostic output: design_alg_test_results.txt (only in the ZIP file). Files: loop1.nac, loop1_test_data.txt, loop1.vhd, loop1_tb.vhd, loop1 CDFG, loop1 CFG, Makefile for GHDL simulation of loop1, Bash script for automating the simulation of loop1. Files: fibo.nac, fibo_test_data.txt, fibo.vhd, fibo_tb.vhd, fibo CDFG, fibo CFG, Makefile for GHDL simulation of fibo, Bash script for automating the simulation of fibo. Files: divider.nac, divider_test_data.txt, divider.vhd, divider_tb.vhd, divider CDFG, divider CFG, Makefile for GHDL simulation of divider, Bash script for automating the simulation of divider. Files: isqrt.nac, isqrt_test_data.txt, isqrt.vhd, isqrt_tb.vhd, isqrt CDFG, isqrt CFG, Makefile for GHDL simulation of isqrt, Bash script for automating the simulation of isqrt. 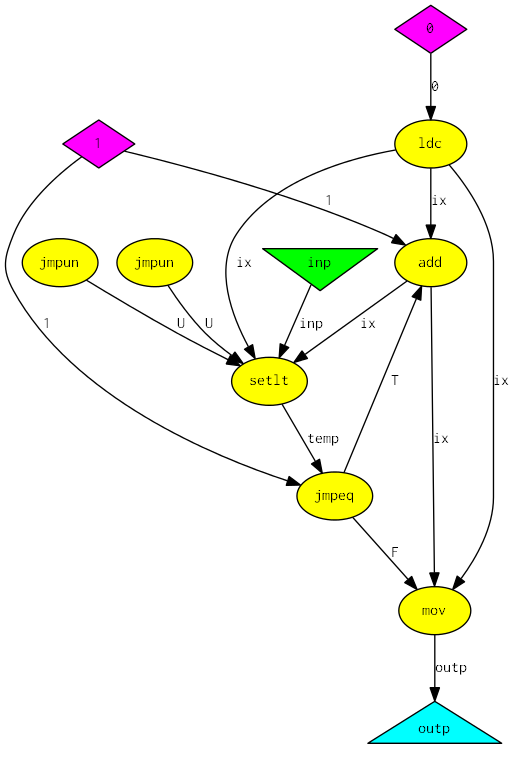 The following set of examples illustrates the high-level synthesis of ANSI C programs. 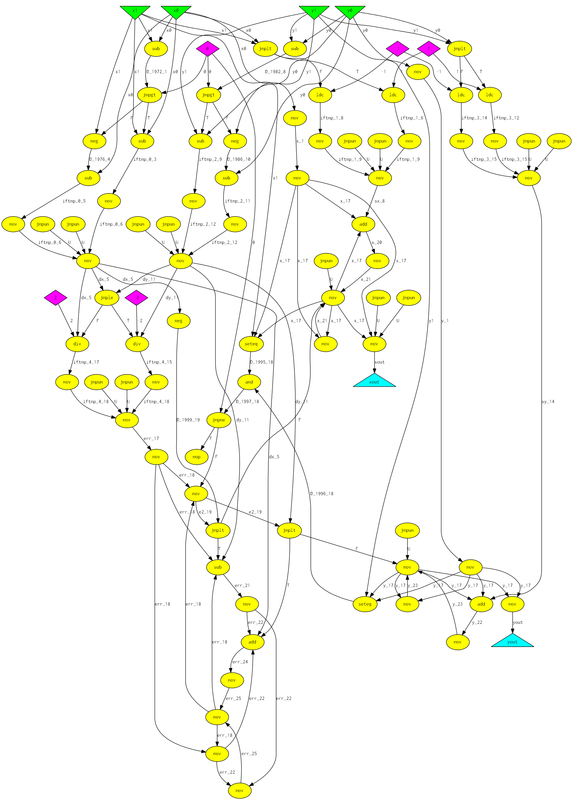 The overall process involves translation of C programs to GIMPLE, followed by processing from gimple2nac, nac2cdfg, and cdfg2hdl. This set of examples has been generated with SSA (Static Single Assignment) enabled, using the ASAP scheduler and with block RAMs enabled. gcc-4.5.1 has been used for producing the .gimple files. From these files, the corresponding .nac is generated with "gimple2nac". The same rules apply (as above) for running a GHDL simulation. The sieve design requires a full multiplier. An implementation of the mul operator is provided in file operpack_ieee.vhd. Its implementation is subject to change in the future (e.g. for better performance). Further, the simulation will need two files providing some IEEE extension functions/procedures. They are required only for running the simulations. These files are provided in the 00contrib subdirectory. NOTE: For the case of the "sieve" example, more design files are generated, since it comprises of two procedures: sieve (the root procedure) and isqrt (which is called by root). Files: Input C file for fibo, GIMPLE file for fibo generated by gcc, fibo.nac, fibo_test_data.txt, fibo.vhd, fibo_tb.vhd, fibo CDFG, fibo CFG, Makefile for GHDL simulation of fibo, Bash script for automating the simulation of fibo. Files: Input C file for gcd, GIMPLE file for gcd generated by gcc, gcd.nac, gcd_test_data.txt, gcd.vhd, gcd_tb.vhd, gcd CDFG, gcd CFG, Makefile for GHDL simulation of gcd, Bash script for automating the simulation of gcd. Files: Input C file for linedraw, GIMPLE file for linedraw generated by gcc, linedraw.nac, linedraw_test_data.txt, linedraw.vhd, linedraw_tb.vhd, linedraw CDFG, linedraw CFG, Makefile for GHDL simulation of linedraw, Bash script for automating the simulation of linedraw. Files: Input C file for sieve, GIMPLE file for sieve generated by gcc, sieve.nac, sieve_test_data.txt, VHDL package containing array data type definitions for sieve, RAM memory model for block RAM inference, sieve.vhd, isqrt.vhd, sieve_tb.vhd, sieve CDFG, sieve CFG, isqrt CDFG, isqrt CFG, Makefile for GHDL simulation of sieve, Bash script for automating the simulation of sieve. 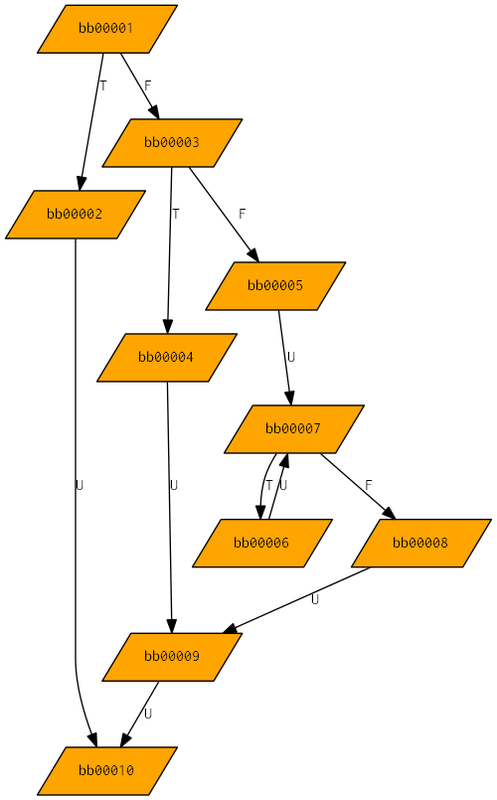 A recent (December 2012) presentation of the HercuLeS hardware compiler. 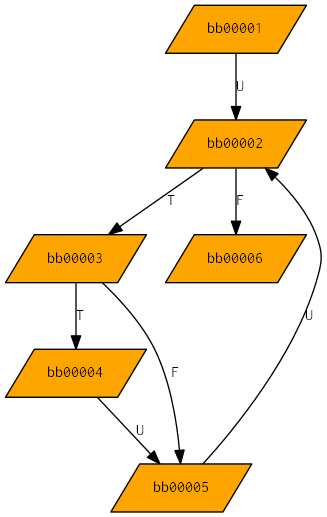 NAC grammar for the GOLD Parsing System. 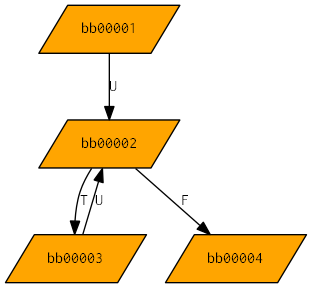 The GOLD Parsing System is a parser generation framework. TXL grammar for NAC. TXL is a source transformation language. You should run this from a Linux command prompt. A slightly-different version (with interpreted and not built models) was also tested successfully on Cygwin/Windows XP. Preliminary documentation for nac2cdfg in HTML and PDF formats (covering command-line options). Preliminary documentation for cdfg2hdl in HTML and PDF formats (covering command-line options). [TBR] A complete example of a multi-function CORDIC. [TBR] Performance comparison to other high-level synthesis tools. [TBR] Self-contained peephole optimizer for NAC programs. Previous versions: June 06, 2013 / February 05, 2013 / February 02, 2012 / October 31, 2011.